Mix the flour, sugar and salt in a bowl. Add the butter and rub together using your hands to form an even, crumbly mixture. 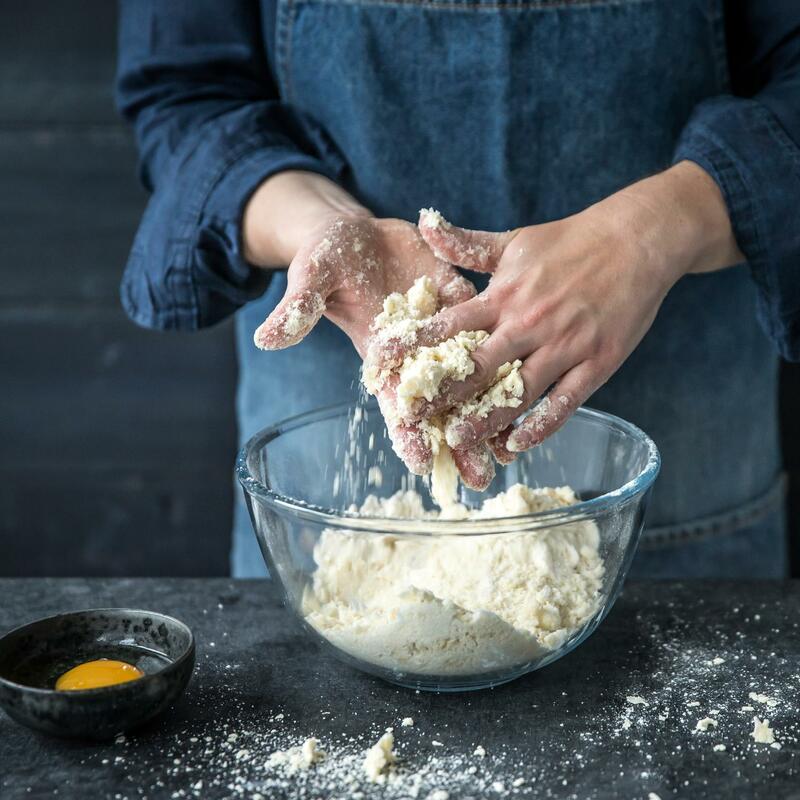 Add the egg, mix quickly to form a soft dough – do not knead. Flatten the dough, cover and chill for approx. 30 mins.